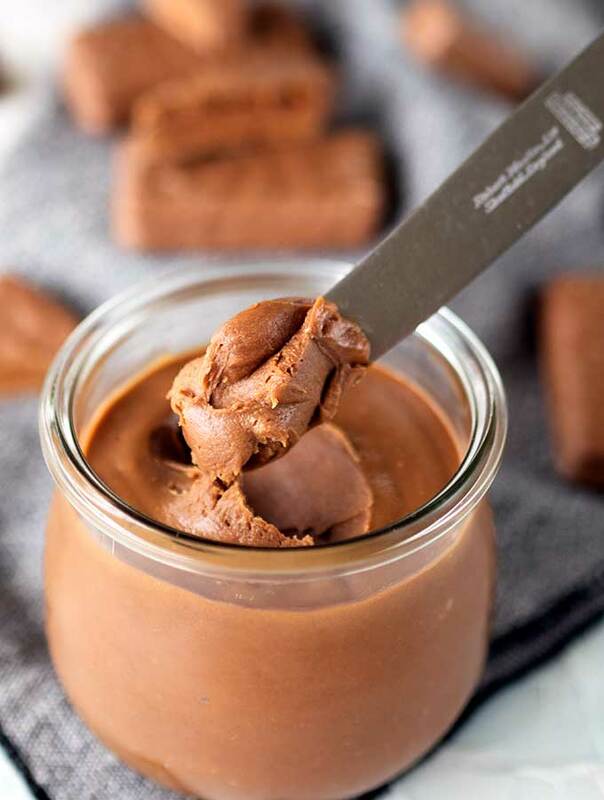 Home » Tim Tam Spread or Tim Tam Butter? Whatever you call it, make it now! Tim Tam Spread or Tim Tam Butter? Whatever you call it, make it now! Tim Tam Spread or you could call it Tim Tam Butter. No matter what you call it, it is damn delicious and easy to make. 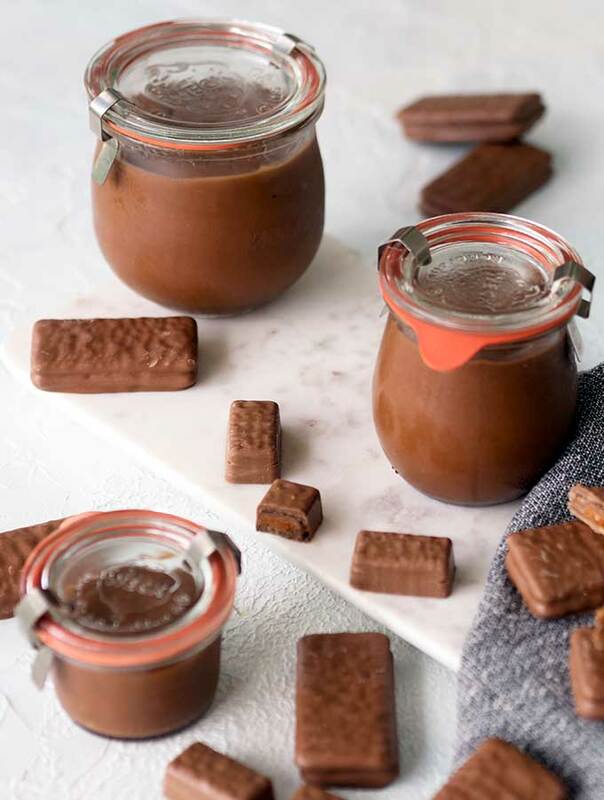 This is the Tim Tam Spread recipe you have been waiting for. For those not familiar with a Tim Tam, they would have to be Australia’s most loved biscuit. My American friends, you would call them a cookie. Cookie butter or cookie spread is not a new idea. Not so popular in Australia, you do see the odd jar here and there. For those that have tried Biscoff cookie butter, made from Speculoos biscuits, it can be rather addictive. I even made some Speculoos butter cups a few years ago. The notion of making Tim Tam spread came to me a few years ago. I was playing around with the biscuits to make a base for a Tim Tam cheesecake. I was a little overzealous turning them into a crunchy puree. A very delicious crunchy puree. Due to the ratio of the chocolate cream centre and the chocolate coating, when given a good blitzing in food processor you end up with a very sticky crumb. The more you blitz the smoother and spread like it becomes. Unfortunately it doesn’t really lend itself to true spread quality. If you blend through a little coconut oil or butter, you do come up with a Tim Tam spread. It’s a little on the crunchy side, it’s okay, but far from perfect. With my research hat on discovered most recipes for making a cookie butter/cookie spread were generally the same. Blend the biscuits, add a fat of some kind (generally butter or coconut oil), add some extra flavouring, then bung the mixture it in a jar. Voila, cookie butter. Not happy with this method I kept researching. I came across a homemade cookie butter recipe on Serious Eats. We were now getting somewhere. They crushed their biscuits and added an equal amount of water. In a saucepan the biscuits and water are warmed softening the crumb. I liked the idea, but Tim Tams aren’t a plain biscuit. There is a cream layer and have chocolate coating. The use of water wasn’t sitting well with me. The whole oil and water does not mix fact. Oil in this case being butter fats and whatever the filling of a Tim Tam is made from. I thought why not use cream? And that’s exactly what I did. Crushed Tim Tam biscuits in a saucepan with cream. Over a low heat the chocolate and cream filling melt and combine easily with the cream. The biscuit crumb softens and it all melds together beautifully. Once given a thorough blitz with a stick blender you have a smooth and creamy Tim Tam spread. Be patient when warming the cream and crushed Tim Tams on the stove. Go low and go slow. You don’t want to risk burning the cream or the chocolate. The mixture will look very lumpy and pale to start with. As the chocolate and cream filling melt, the biscuit crumb softens, and the mixture will get darker. None, just a saucepan, spatula and stick blender. Tim Tam biscuits: They are an Australian chocolate biscuit made by Arnott’s. Two rectangular chocolate biscuits sandwiched together with chocolate cream and coated in chocolate. You could substitute your favourite chocolate covered cream biscuit/cookie. In Australia Tim Tams are available from service stations through to supermarkets. They are our most loved chocolate biscuit. Now that you’ve made it, what to do with it? Spread it on scones or toast. A dip for fruit, Tim Tam dip and strawberries anyone? Ganache style filling for cakes. Swirl it through cake or muffin batters before cooking. Tim Tam butter stuffed French toast. Swirl it through homemade ice cream after churning and before placing in the freezer. Tim Tam truffles, roll up balls of Tim Tam butter and coat in crushed Tim Tams or cocoa powder. It can be used wherever you use a chocolate ganache. The use for the spread is endless. You could simply do what I do, eat it straight from the jar. 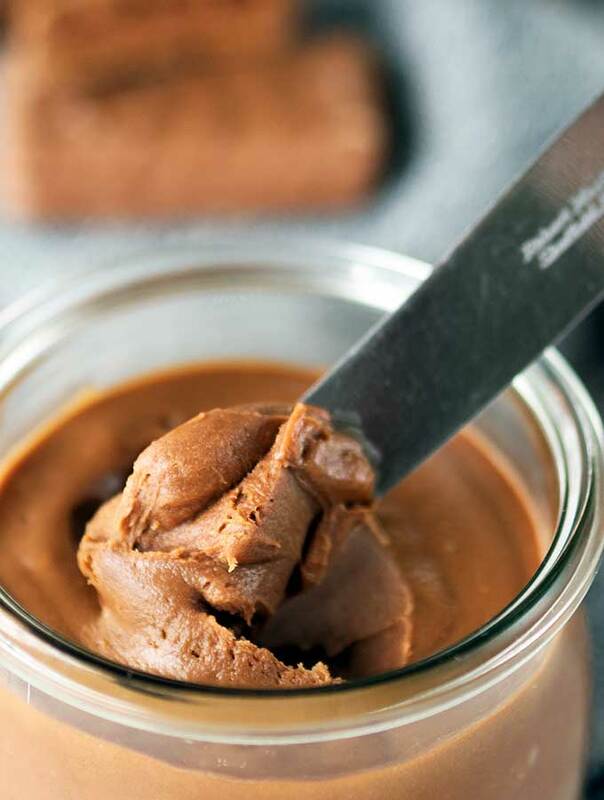 This recipe could be called Tim Tam Spread, Tim Tam Butter or even Tim Tam Ganache. Whatever you call it, it is delicious, easy to make and you need to make it now! Place Tim Tams in a large zip lock bacg. With a rolling pin give the Tim Tams a good walloping (crush them). They don't need to be finely crushed, chunky pieces are fine. Place crushed Tim Tams in a medium size saucepan with cream over a low heat. Stir mixture continuously until the cream filling and chocolate coating of the Tim Tams melts and combines with the cream. Continue stirring until the Tim Tam cookie crumbs have become soft and the mixture has all melded together. There will be a few small lumps but that is okay. 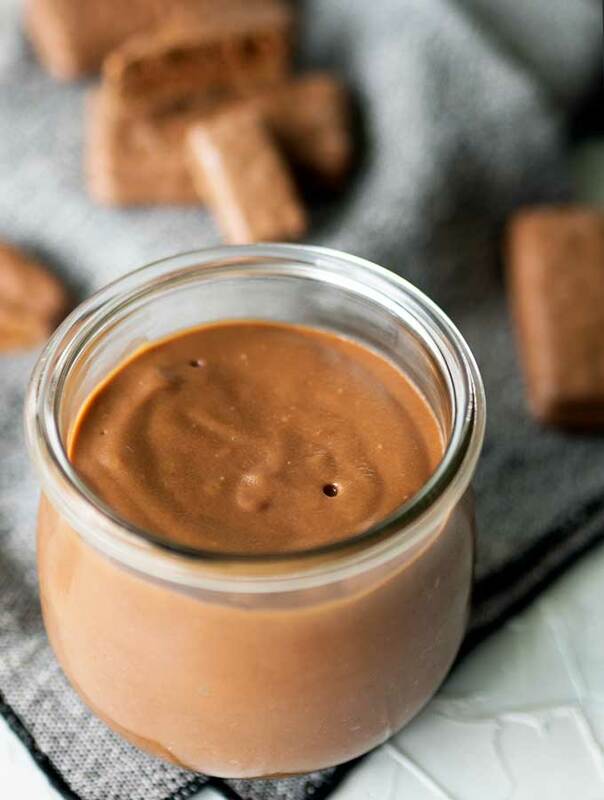 Take the Tim Tam mixture from the heat and use a stick blender to puree the mixture until it is thick, glossy and has no lumps or fine biscuit particles. You want a smooth as silk mixture to finish with. 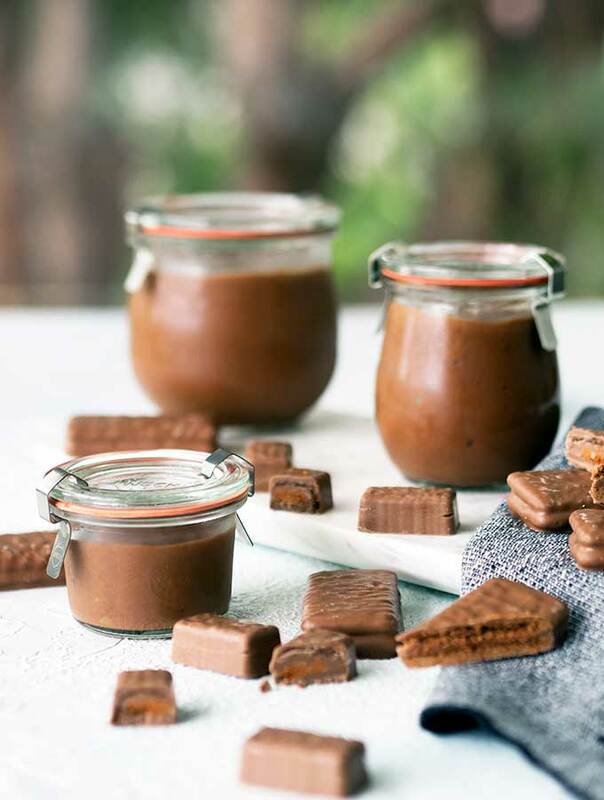 Place Tim Tam spread in a clean glass jar and store in the fridge. The spread will keep for a week. 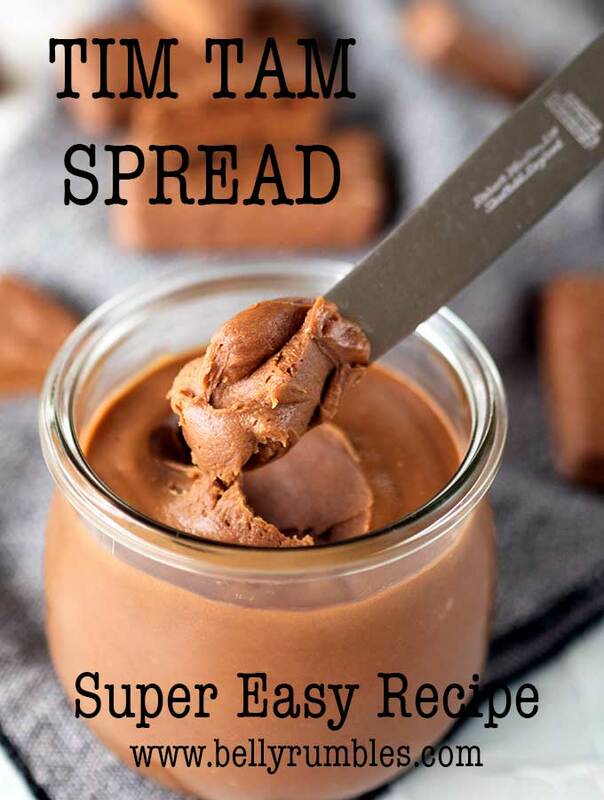 This recipe makes approximately 2 cups of Tim Tam spread. In Australia Tim Tams are available from service stations through to supermarkets.